Learn How To Make Punjabi Baingan Bharta – Roasted Eggplant Curry Recipe (पंजाबी बैंगन का भरता ) Recipe with the easy video tutorial. 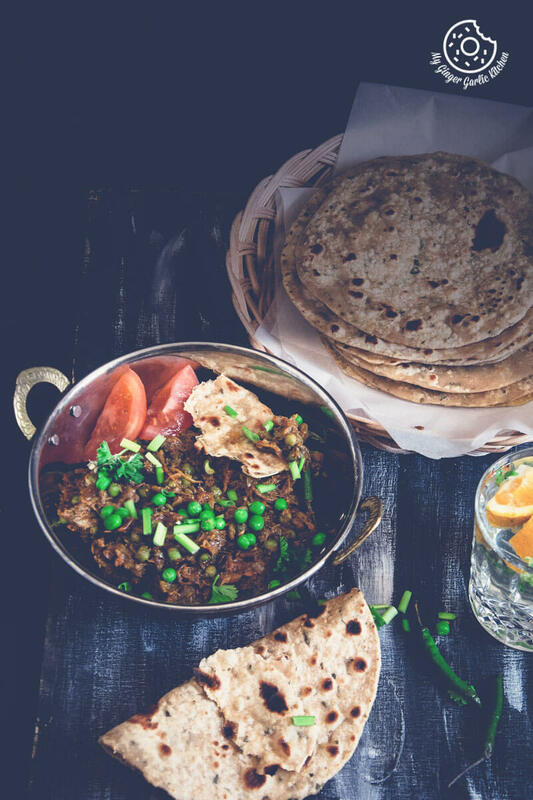 Punjabi Baingan Bharta is a delicious side-dish originated from Punjab which is very popular in North India. 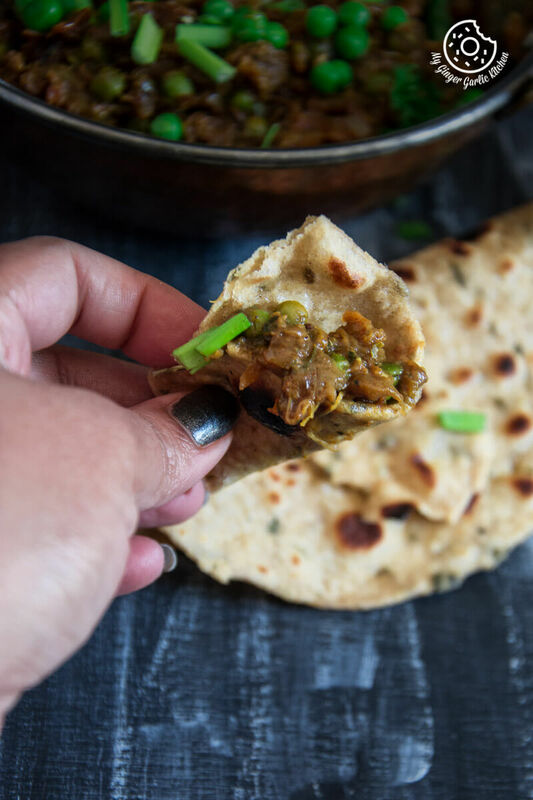 Punjabi Baingan Bharta – Roasted eggplant curry is a mouthwatering side-dish made with roasted, peeled and mashed baingan/eggplant aka brinjal. There are many people like me who don’t like baingan/eggplant as such, but enjoy when it’s made into a bharta. 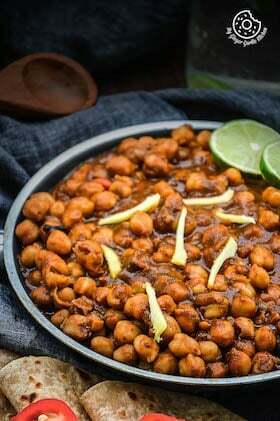 This is one of such comforting dishes which I grew up eating. 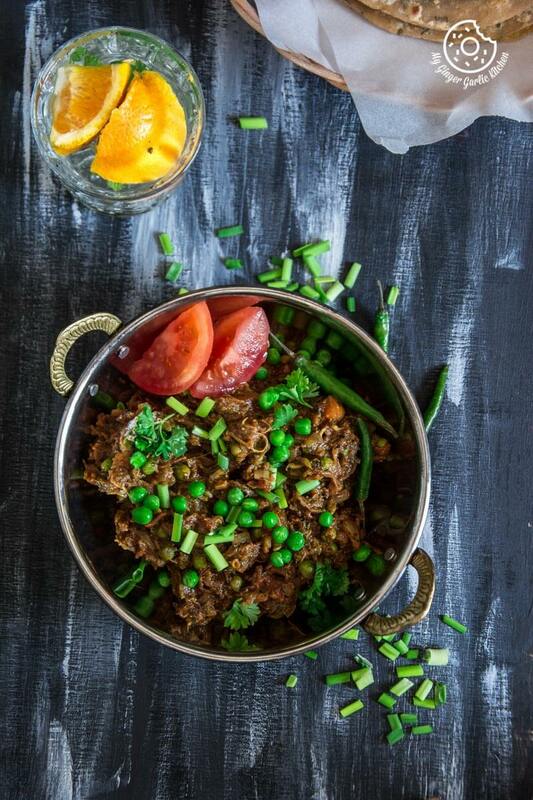 There are many ways of making baingan bharta. Today I am sharing the way my Mom used to make it. As a child I didn’t like it: As a child I was never a fan of baingan/eggplant, I don’t know why but somehow it didn’t look so appealing to me. And the same feeling carried with the dishes made with eggplants. So I never bothered to try them even once. My mom tried everything to convince me, but all in vain. The good thing is that my family never forced me to eat such particular things. I don’t understand why my granny was so rigid whenever it came to baingan/eggplant. She used to say: “Try it just once, and if you don’t like it then I will never ever ask you to eat this.” Just listen to me once and try this. I didn’t understand why she passionately wanted me to try baingan (eggplant) at least once. Maybe because she loved it very much. Or maybe because she thought that if I will not taste this heavenly veggie then I would miss out on such a treasure in this world. Or maybe the reason was nothing more than that she just wanted to see me eating baingan/eggplants/aubergine. I can only speculate what was going through her mind at that time. I wish I could have asked her about her reason, but now it’s too late for that. She insisted and insisted but I never bothered. Then one day my granny’s wicked mind gave her an idea. I got really thrilled by hearing about the special and yummy menu. I could smell the nice aroma of food which my mom was cooking. So without any further delay, I rushed to the dining table. My mom served us lunch. I: Mmmmm, you are right Granny, this lunch looks very yummy. 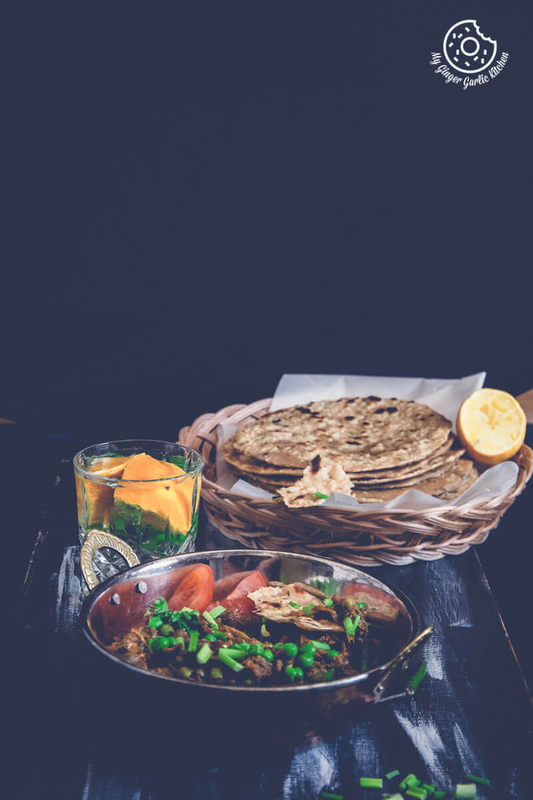 My favorite jeera aloo, rajma, paratha, raita, and … what’s this? Is it a chutney? Or is it baingan bharta? It looks like baingan bharta to me. Granny said: “No, no. It’s not baingan bharta. This is a different veggie. Your mom made it only first time today. You know what, everyone loved it. And your mom said that from now on she will make it quite often. I am sure you will also love this like your brother and sister. Me: “Okay, let me eat this first and then I will tell you if I liked it or not”. We enjoyed our lunch and I ate that puree looking dish without any complaints. My granny didn’t say any single word about that dish. I: Yes, it was good. I: Yes, mom! It was nice. Even after eating that dish for several times, I didn’t ask for its name. Mom laughed:, which one? The one which looks like puree? I looked at them with anger first, and then I asked my sister to pass me baingan bharta. I: Yes, I still don’t like baingan but I like baingan bharta. Is there any problem? So that’s how baingan/eggplant and I bonded. Adoria does the same thing when she sees baingan/eggplant. After that day this curry has become one of my favorites drool-worthy dishes. 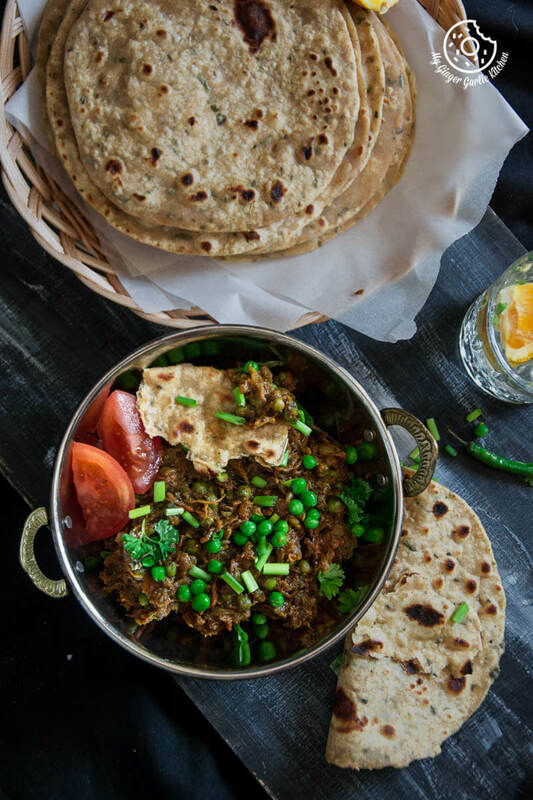 Gimme some parathas and this festive food ‘baingan bharta’ and I will be the happiest person in this world. If you also love festice food like me, then you can check out this survey. 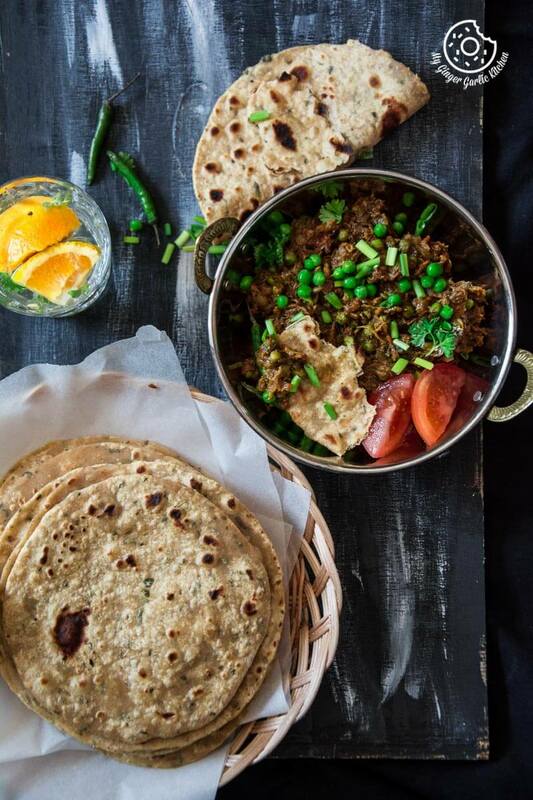 What type of baingan is best for bharta? Always choose a large size of eggplant/baingan for making bharta, but it should be light in weight. Heavy baingan contains a lot of seeds, and thus it does not make a good pulp for bharta recipe. Roasting baingan on open flame/fire takes some time, so you have to be patient while roasting it. Baingan should be cooked through properly from the inside because only this way you will get and nice pulp. Don’t roast baingan on high heat, otherwise, baingan skin would be charred quickly and baingan won’t cook from inside. You can also prick or slit baingan if you are cooking it on an open fire. After roasting let the baingan cool completely before peeling the skin. 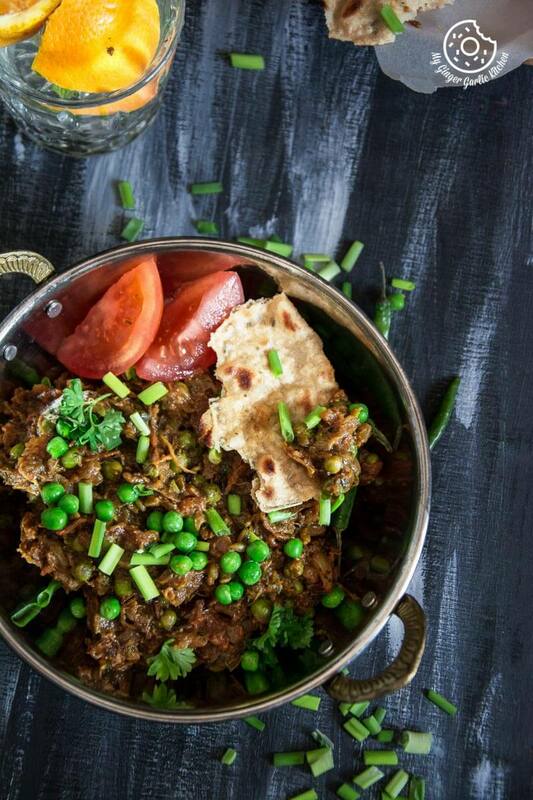 What is Punjabi Baingan Bharta? This is a mouthwatering side dish which is made with roasted, peeled and mashed baingan/eggplant aka brinjal. 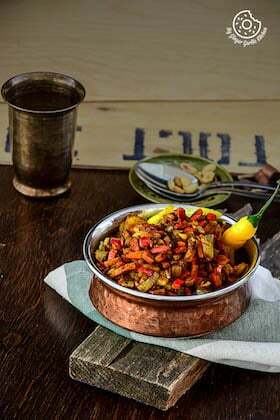 The smoky flavor of baingan/eggplant cooked with indian spices is awesome. You must give it a try if you love Indian food. Traditionally, the baingan/eggplant is roasted in tandoor which gives a nice aromatic charcoal flavor. But in common households, people char the baingan/eggplants on the flame. That’s what my Mom does. I don’t have flame burners so I roast baingan/eggplants in the oven and broil them for a minute. That gives a nice charred aroma. Some people roast baingan/eggplant directly on the hot plates, but that process is quite messy so I don’t feel like using my hot plates for roasting eggplants. How baingan bharta is made? 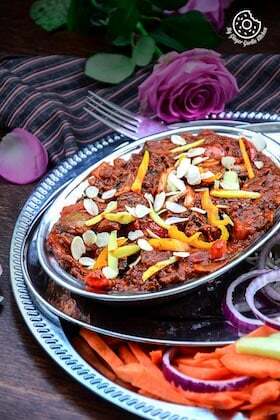 Baingan/eggplant is cooked directly roasted over the flame or in the oven till the skin is charred. And then peeled, mashed and stir-fried along with tomato, onion, garlic and some spices. The outcome is a thick spicy and delicious puree like curry dish. 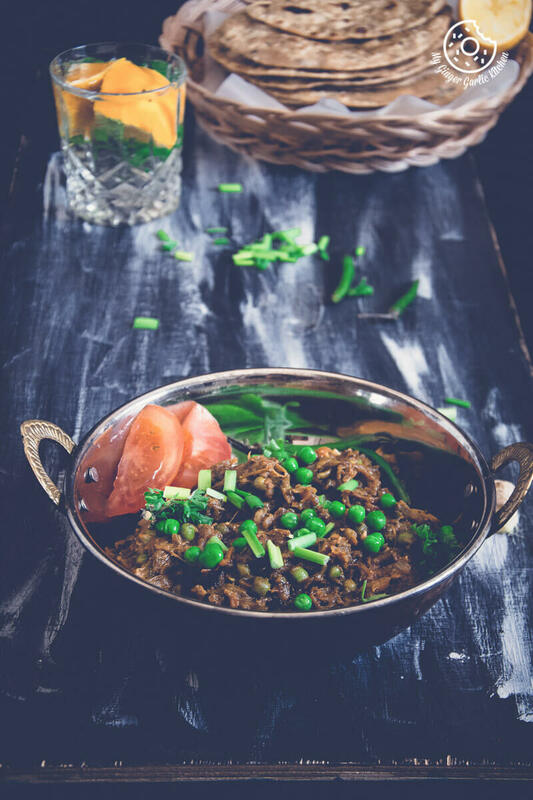 Punjabi Baingan Bharta is a delicious side-dish originated from Punjab which is very popular in North India. 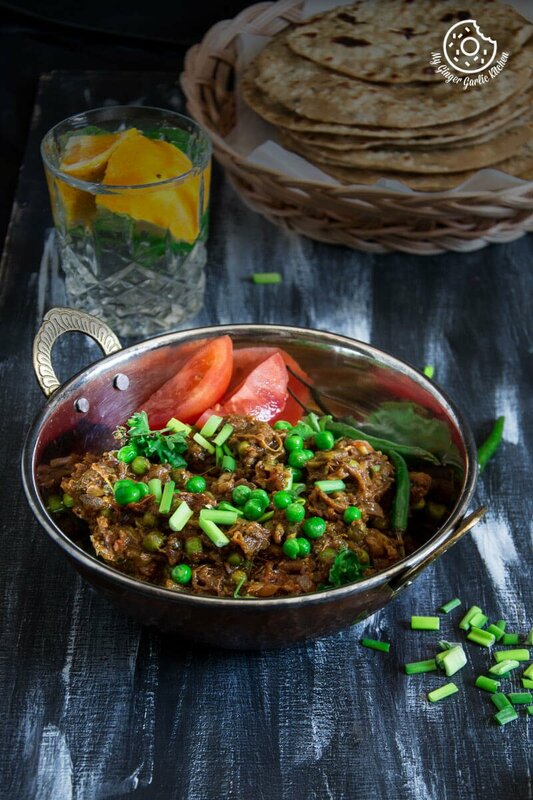 Punjabi Baingan Bharta – Roasted eggplant curry is a mouthwatering side-dish made with roasted, peeled and mashed baingan/eggplant aka brinjal. 1. Brush eggplant with oil. Make a couple of slits or slightly prick with a fork. 1. Brush eggplant with oil and place it on a baking tray. 2. Bake it in a 180°C preheated the oven for 55-60 mins or until the skin is charred and eggplant starts to shrink. 3. Broil for 2 mins on high settings, or roast over the flame (prick the eggplant with a fork or slit it, if you are roasting on the flame). 1. Once cooled, peel off the skin. 2. Mash or finely chop the cooked eggplant. Set it aside. 1. Heat oil in a pan, and add cumin seeds. 2. When they start to splutter add garlic and saute for few seconds. 3. Add ginger and saute for 30 seconds. 4. Now add onions and sauté till they turn translucent. 5. Add green peas and cook for 3-4 mins. 6. Add in the chopped tomatoes and cook for few more minutes. 7. Add Garam Masala, chili powder, Coriander Powder, Red Chili Powder and salt to the mashed eggplant. 8. Add the mashed eggplants to the onion tomato mixture and cook for a minute. 10. Mix well and cook on medium heat for 7-8 minutes. 11. Once it starts boiling and the spices have all blended in well with the Eggplant and Peas, it is ready. 12. 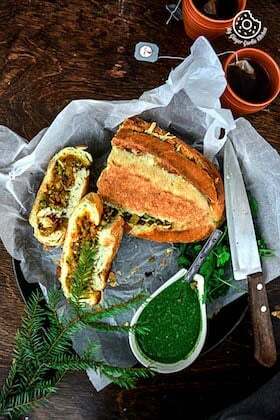 Garnish with cilantro and serve hot with parathas, chapati or Naan. 1. Roasting baingan on open flame/fire takes some time, so you have to be patient while roasting it. 2. Baingan should be cooked through properly from the inside because only this way you will get and nice pulp. 3. Don’t roast baingan on high heat, otherwise, baingan skin would be charred quickly and baingan won’t cook from inside. 4. You can also prick or slit baingan if you are cooking it on an open fire. 5. After roasting let the baingan cool completely before peeling the skin.